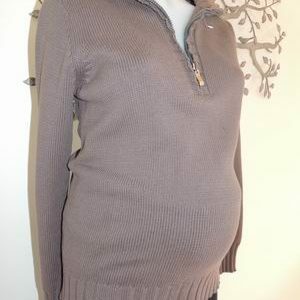 A lovely slouch singlet in stretchy viscose spandex, by Ninth Moon Maternity. Available in CORAL (as shown), MINT or LILAC in separate listings. It is new with tags and is sleeveless. The top features front pleats and an elastic hem. 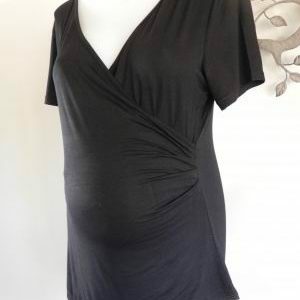 This top is perfect for discreet breastfeeding, as you can pull the front pleated panel to one side.The fabric is very soft. Please email me your colour preference. Be the first to review “NEW Slouch Style Coral Maternity Singlet with Front Pleats” Click here to cancel reply.